2. If you miss your landing slot it is a criminal offence to advise customers on finance or broker finance deals. 3. Your Finance Company is not responsible for your compliance. 4. 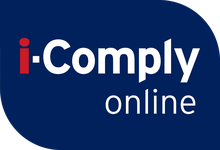 I-Comply Online can help you to manage these changes and to benefit from them. • Which route do we follow, are we limited or full permissions? • How do I complete the application? • What on earth does that mean? • What if I miss my landing slot? • What is a compliance monitoring programme and how is this relevant to the dealership? • If you’ve completed your application, you may be wondering “What do I do now”? The Application is just the beginning. We know you are committed to Treating Customers Fairly and can help you to evidence this. easy actions to assist you in independently managing and evidencing your F&I activities.